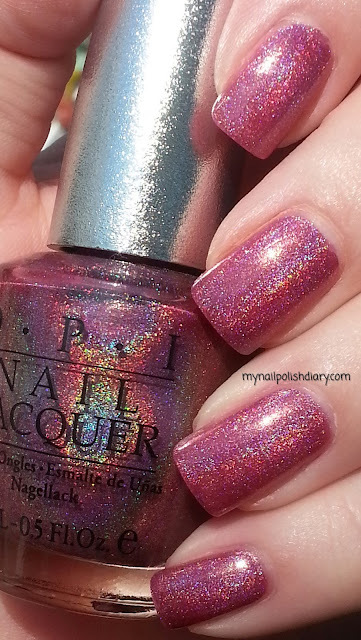 OPI DS Signature is a berry reddish pink holographic with so much holo effect it's amazing. Application was perfect and in the past when I've worn this wear time was not bad for a holographic. I can usually get 2 days. Which is ok with me. I decided to wear it for the weekend because we're going deep sea fishing Sunday, and what better polish to wear on a day out in the sun than holographic! I can't wait. I love fishing on a big ole boat on the ocean.